I just wanted to post a quick couple of lines to congratulate the London 2012 Olympic committee for their fabulous and professional campaign. Spearheaded by my childhood hero Seb Coe, I have no doubt in my mind that it was the professionalism, enthusiasm and character of those involved that managed to secure us the venue. I am really excited about the games and for the opportunities and motivation it provides for today’s young generation of athletes. If you’re young, serious about sporting performance and have the 2012 Olympics as a goal, you have my respect and the support of TORQ. If you run a sports/athletic/cycling club or team of any kind and you have young athletes within the ranks, aspiring for this global goal, get in contact with us and we will do everything we can to help supply your athletes with our TORQ products at the best possible price. 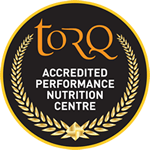 TORQ is committed to producing food for athletes.  We don’t stop there though, because equally as important, we are committed to producing ‘natural’ foods – ones that we all feel comfortable about our children eating. 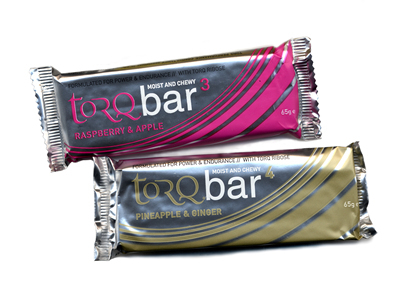 TORQ bars are made with fairly-traded fruit, which means that farmers in the developing world are paid sufficiently for their produce. None of our bars contain flavours, colours, preservatives or sweeteners. The bars taste of the natural fruit contained within them, and that’s it, which is refreshingly unique. We believe that a food product should have a natural taste, and the only way to do this is to formulate a product for it’s energy-giving characteristics and then ‘let it be.’ For this reason, hundreds of people who don’t like banana-tasting products love our bars, because they don’t have an over-riding bananery essence. They are made with a fairly-traded Bagoya banana, which has a figgy taste and the banana flavour is very subtle. TORQ energy is a pure, natural unadulterated glucose polymer with a huge level of versatility. It has no taste, so can be added to all types of food to boost its carbohydrate content as well as being made into a neutral isotonic energy drink. The next generation of TORQ energy (to be released soon) will be ORGANIC. We will offer naturally flavoured electrolyted energy drinks, which are not sweetened with Aspartame or Sacharin (chemicals with a sweetness hundreds of times greater than sugar, which have a questionable effect on long-term health). Naturally flavoured means that the flavouring is extracted from real fruit and is not artificially formulated. A comprehensive TORQ recovery formula is on its way for 2006, as are TORQ gels. We’ll keep you posted. 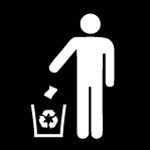 Once again, well done to the 2012 Olympic committee. You have our sincere support. Pictures from official London 2012 website.